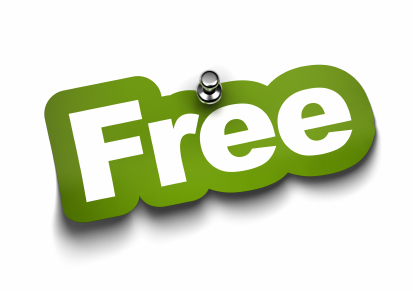 Everyone loves a freebie, so where can you get them in Spain? Companies aren’t really generous, all they want to do is get you on their mailing list so it’s always a good idea to have a separate email address for these offers. Remember that free items are normally limited in number so it’s first come, first served! Visit the Sony Entertainment webpage and sign up for their 30-day Music Unlimited offer for Premium subscribers. You’ll need a credit card to register, so you must remember to cancel otherwise you’ll be charged the following month 9.99€ (use your smartphone agenda to set a date to cancel). Download the Spotify app to listen to your favourite artist, album or playlist in shuffle mode for free on your smartphone, tablet or computer. Or you can sign-up for a free 30-day trial of their Premium Service, cancel at any time during the month to avoid charges. To get a free pack of baby wipes “Dodot Sensitive I Love U Baby”, visit Dodot’s webpage, register and within 1 month you’ll get your pack (one per household). Ask for samples (muestras) when browsing or shopping in Sephora, El Corte Inglés, Bodybell, etc. You don’t have to buy to get freebies (just look interested!) and remember that around Christmas time and Valentine’s Day stores have plenty of freebies to give away to entice shoppers to buy. Also at Sephora they have empty sample size bottles, just ask them to fill one with a fragrance you’d like to try. Register at Proxima a Ti (Procter and Gamble) to get freebies throughout the year (need to sign up for each promo) and discount vouchers for top brands (Pantene, Olay). Take a look at our dedicated post full of info about where to find freebies for new mums in Spain. When you register on the major pet food brand websites, you’ll get the chance to get freebies and discount vouchers. Take a look at Affinity and Royal Canin. Remember that our weekly newsletter has the latest info on new freebies too, so make sure you receive it every Thursday in your inbox!